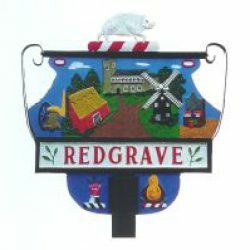 The audited financial statements to 31st January 2018 are now available within the ‘Society Documents’ under the Redgrave Community Society tab. 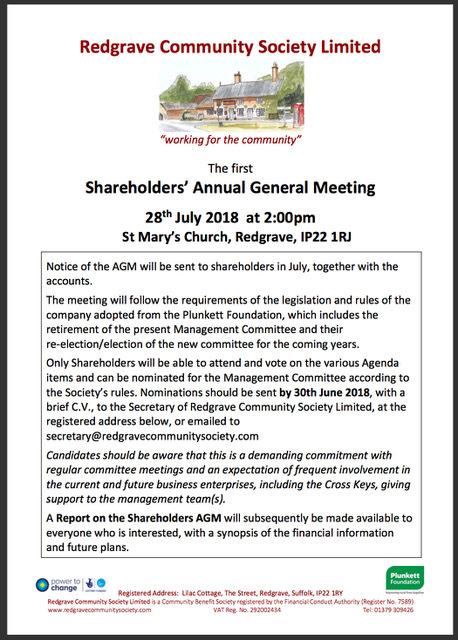 The AGM is open to all Redgrave Community Society Limited Shareholders. It will be taking place at 2:00pm at St Mary’s Church, Redgrave on Saturday 28th July 2018. The ‘Don’t Lose the Keys!’ Facebook group has served its purpose since we have now succeeded in saving our pub and it has therefore been closed. If you have any comments/suggestions to make, please contact us via this website or speak directly to Georgina at the Cross Keys.